Roompot Recreatiepark Hunzedal in Borger - the best offers! This price applies to 4-person cottage H4A, with the arrival as 6 May 2019, 4 Nights. This price applies to 6-person cottage H6A, with the arrival as 6 May 2019, 4 Nights. 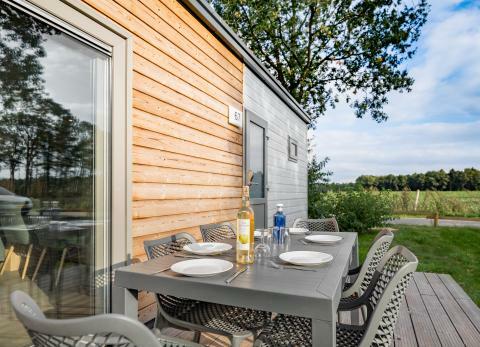 This price applies to 4-person mobile home/caravan HU4C New, with the arrival as 27 May 2019, 2 Nights. 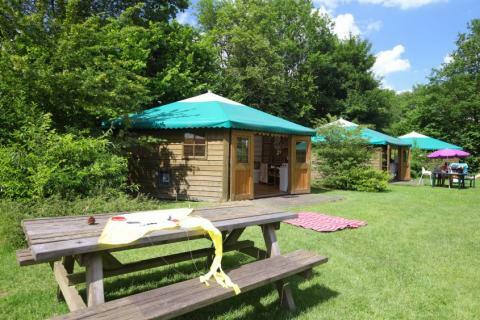 This price applies to 5-person mobile home/caravan HU5A, with the arrival as 27 May 2019, 2 Nights. 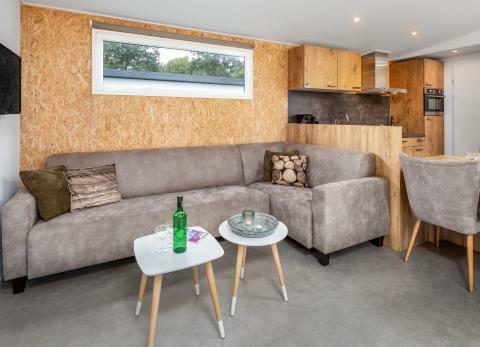 This price applies to 6-person mobile home/caravan Comfort 6B New, with the arrival as 27 May 2019, 2 Nights. This price applies to 4-person mobile home/caravan Comfort Wellness New, with the arrival as 27 May 2019, 2 Nights. 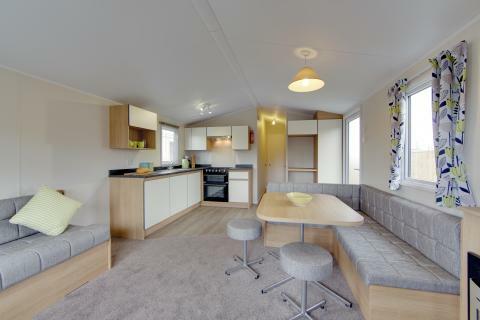 This price applies to 4-person mobile home/caravan HU4B, with the arrival as 27 May 2019, 2 Nights. 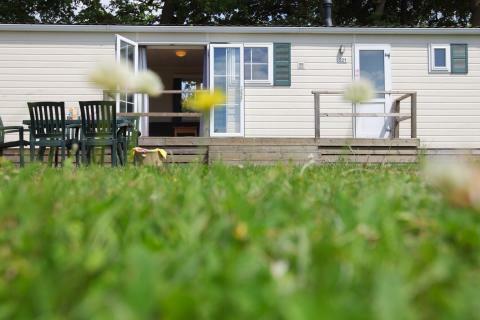 This price applies to 5-person mobile home/caravan HU5B, with the arrival as 27 May 2019, 2 Nights. 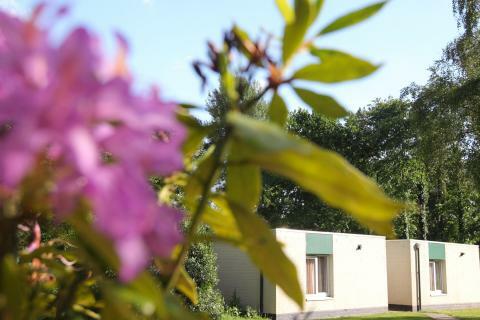 This price applies to 6-person mobile home/caravan Comfort 6A New, with the arrival as 27 May 2019, 2 Nights. 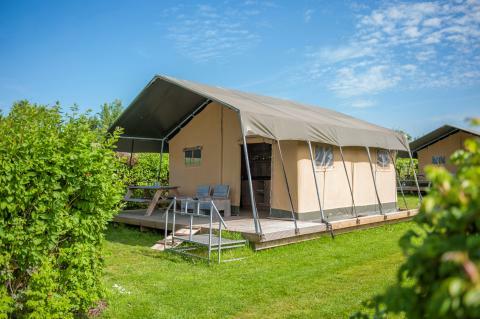 This price applies to 4-person tent Hunze, with the arrival as 27 May 2019, 2 Nights. This price applies to 4-person tent Safari New, with the arrival as 6 May 2019, 4 Nights. Pets are allowed in most accommodations. If you bring your pet, you pay a surcharge of €5 per pet, per night and the final cleaning is obligatory. If you cannot add a pet to your booking, all of the accommodations allowing pets are unfortunately fully booked. Roompot Recreatiepark Hunzedal is located on the edge of the Hondsrug, a unique geological sand ridge that stretches across the province of Drenthe. Surrounded by beautiful countryside, the area is ideal for hiking, biking and horse riding. Roompot Recreationpark Hunzedal has a subtropical swimming pool complete with slides and rapids. 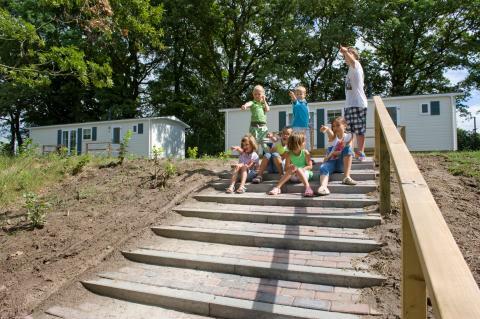 Discover the landscape of Drenthe and enjoy a wonderful family holiday. 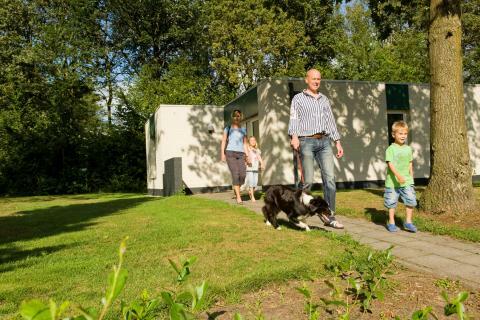 The many facilities at Roompot Recreatiepark Hunzedal promise a varied and enjoyable holiday. There is an extensive tropical swimming pool, a large outdoor pool, a bowling alley with children’s facilities and a cosy cafe-bar. 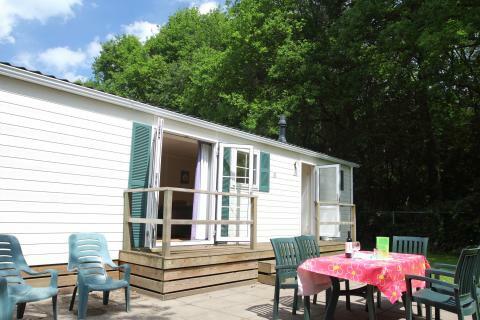 Roompot Recreatiepark Hunzedal also offers bicycle, canoe, go-kart and pedalo rental. At the centre of the park, there’s a large recreational lake bordered by wide, sandy beaches with playground equipment. There’s also a spot for anglers at the edge of the park. There’s a large adventure activity hall for children packed with climbing frames, archery and an exciting underground labyrinth. There is also a fully-equipped indoor play area called The Molehill, featuring playing equipment and a play island. There is also a separate toddler’s pool. Roompot Recreatiepark Hunzedal features a brasserie with an outdoor terrace on the lake, a pizza and pancake restaurant, a snack bar and a park store where you can get your groceries. On one side of the Roompot Recreatiepark Hunzedal is the Hondsrug, which you can explore on foot or by bike using the several trails in the area. These scenic routes showcase the most beautiful spots in the region and are perfect for a family day out. On the other side, there’s the centre of the village Border with quaint shops and cosy cafes and restaurants. You can also visit Wildlands Adventure Zoo during your visit. For history buggs, a visit to the dolmens and megaliths are highly recommended. Pets are allowed in most accommodations. If you bring your pet, you'll be charged €5 per pet, per night. If you cannot add your pet to your booking, then all of the accommodations allowing pets are unfortunately fully booked. Roompot offers free sports and entertainment activities at this park.